Here's a bit of solid trivia for those of you who're super stoked about the upcoming DC Comics super-villain film, Suicide Squad. The Wolf of Wall Street actress, Margot Robbie accepted the role without reading the script. Turns out, Robbie was so excited to work with Fury/Training Day director David Ayer that she took no time to sign the dotted line. Channel 24 quoted Robbie: "I was like, 'Okay, can I read the script?' And they were like, 'There's no script.' 'Okay, is there anyone attached (signed on for the film)?' 'No one attached.' '... Is there a director?' 'Yeah, David Ayer.' And I was like, 'Well, I'm in!' And that was kind of it!" It was the 'lure of working' with Ayer that got her accept the role, says the Australia-born actress, since she was pretty sure she never she'd want to work in a comic-book movie. A rather odd thing to not want, if you ask us. Had she seen the last big DC Comics release, Batman v Superman: Dawn of Justice, she would have realised that these films run on adrenaline, not scripts. 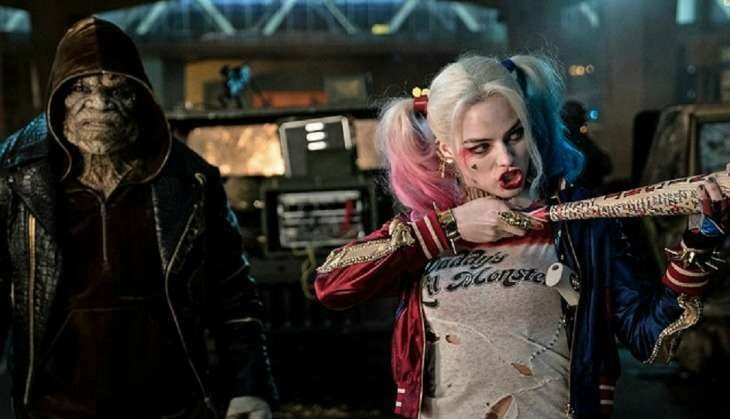 Suicide Squad hits theaters on 5 August and stars Will Smith, Jared Leto, Cara Delevinge, Viola Davis, Ben Affleck and a bevy of other actors.